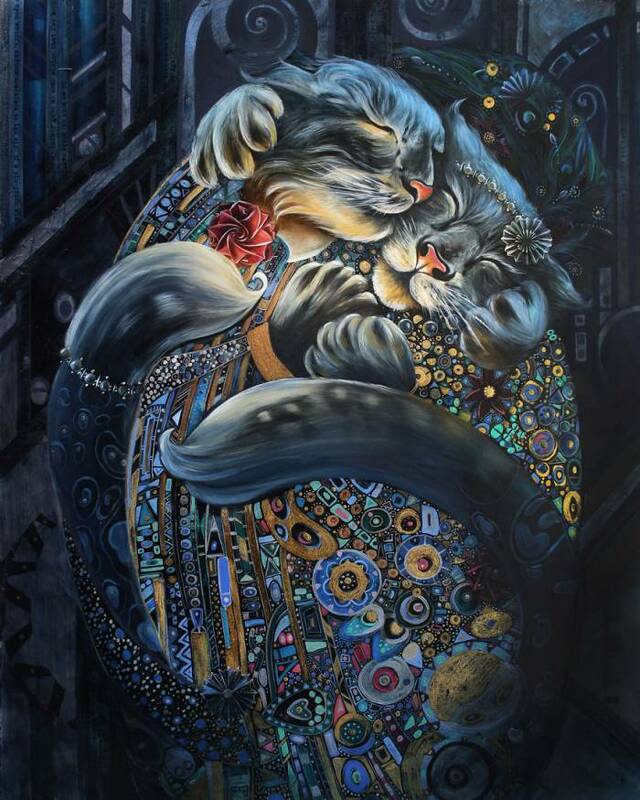 Christina Hess began her unique adventure with a single painting for a family friend. 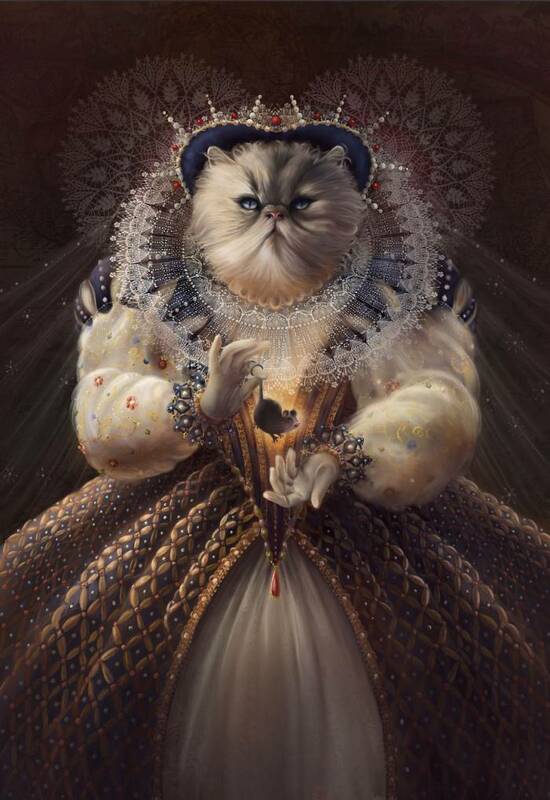 Upon completion of her creative piece, "Queen Elhissabeth" Christina says she realized that while she never intended to paint historical figures as cats for a living that this was something she could have A LOT of fun with and she dove head in, never looking back. 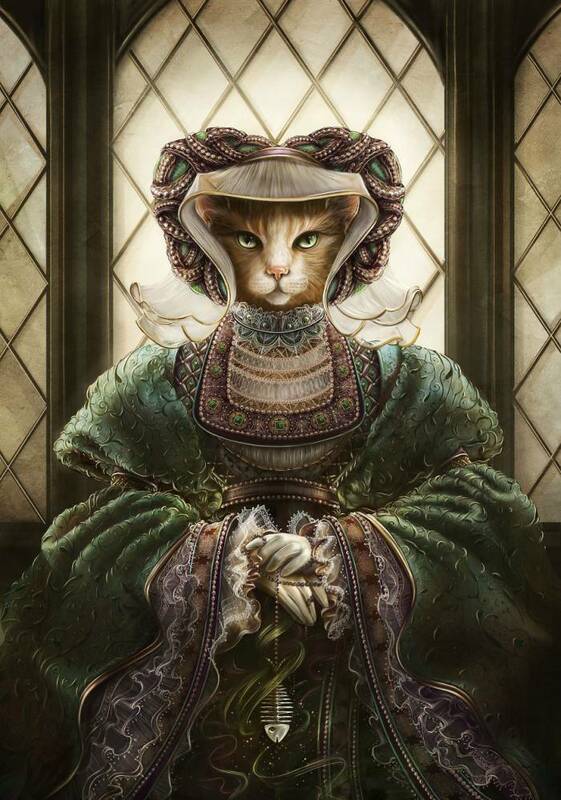 She sought out charities like Big Cat Rescue to use a wide variety of pets and "celebrity animals" for inspiration before re-creating these historical icons. 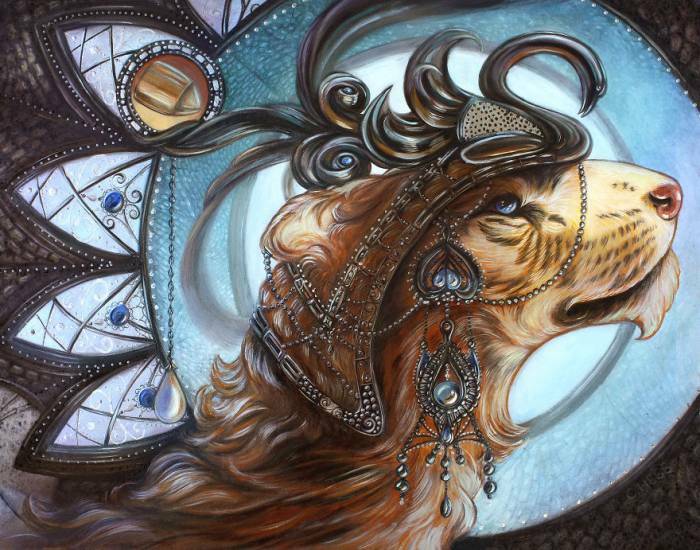 She uses multiple formats to create her art including traditional oil painting and digital work as well. She has said it simply depends on how she wants to work at the time. Wanting to continue the fun she launched a Kickstarter and it's off to a good start with over 120 backers. She now runs an Etsy shop where she sells prints of her work and mini booklets. As well, her original paintings can be found at Ian Russell Gallery of Fine Art in Prescott, Arizona. Christina also says she does not intend on stopping any time soon and has a long list of famous historical figures and a variety of animals to include in her interpretations. The one that started it all, this image is stunning and it comes as no surprise that it's launched Christina's career. This digital piece includes fish up her sleeve. 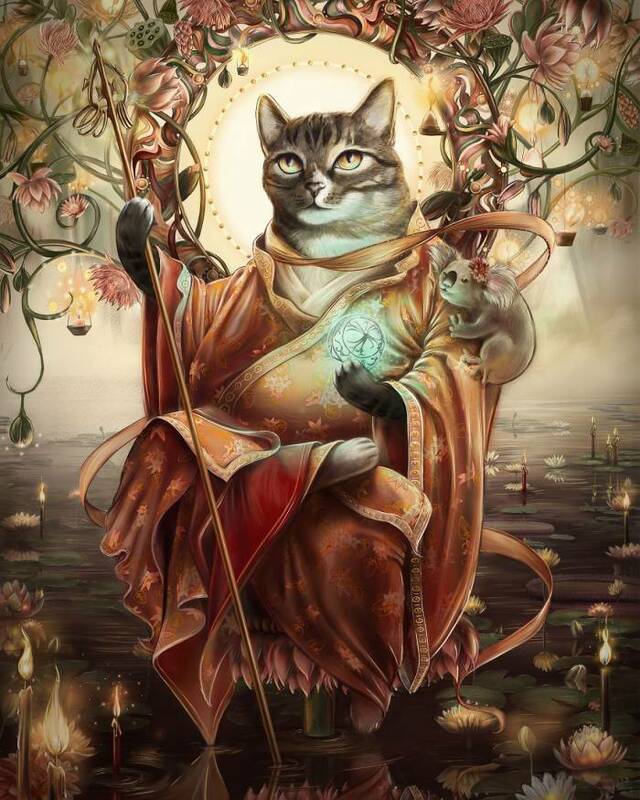 What a creative cat. I'm not sure what's better, the artwork or the creative names. Killer combo of awesome. 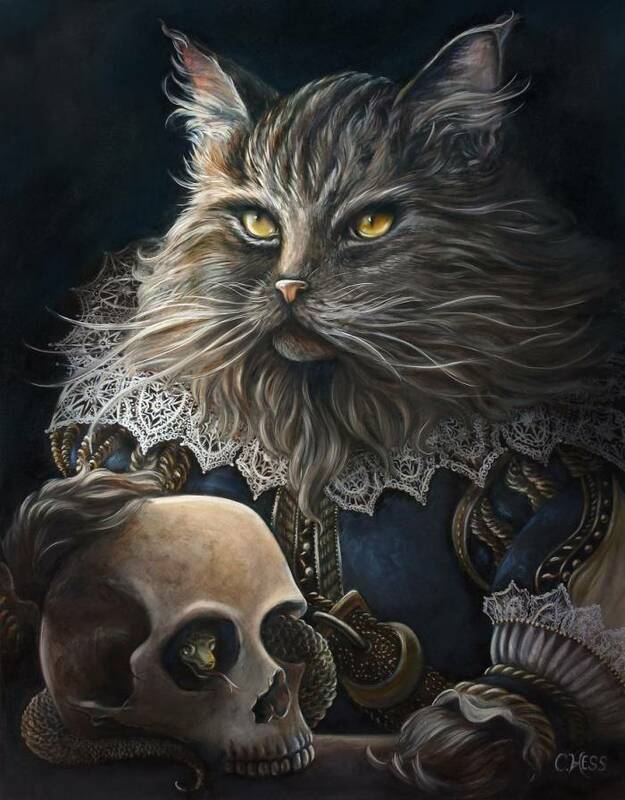 This purrfect oil painting has us craving more. 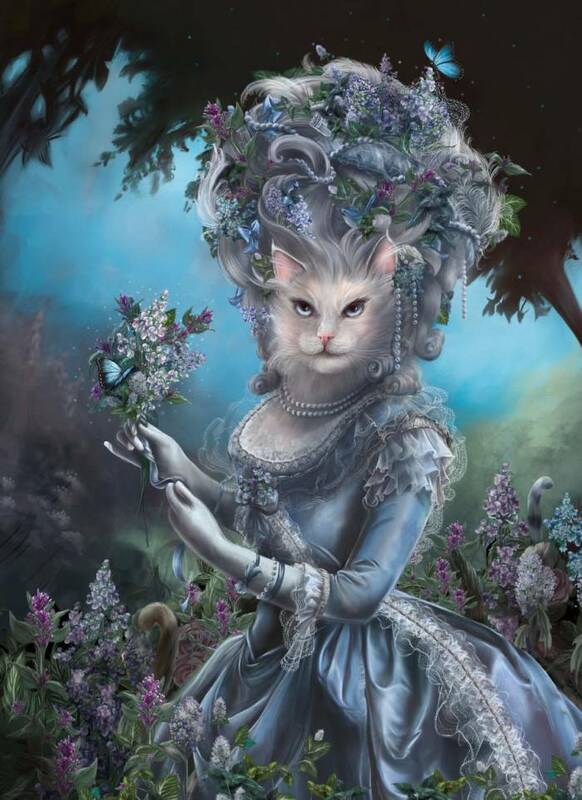 Seen here strolling in her catnip garden, this one has us wanting cats instead of cake. Christina says she used famous San Diego Zoo snow leopards Ana and Evert for her inspiration. 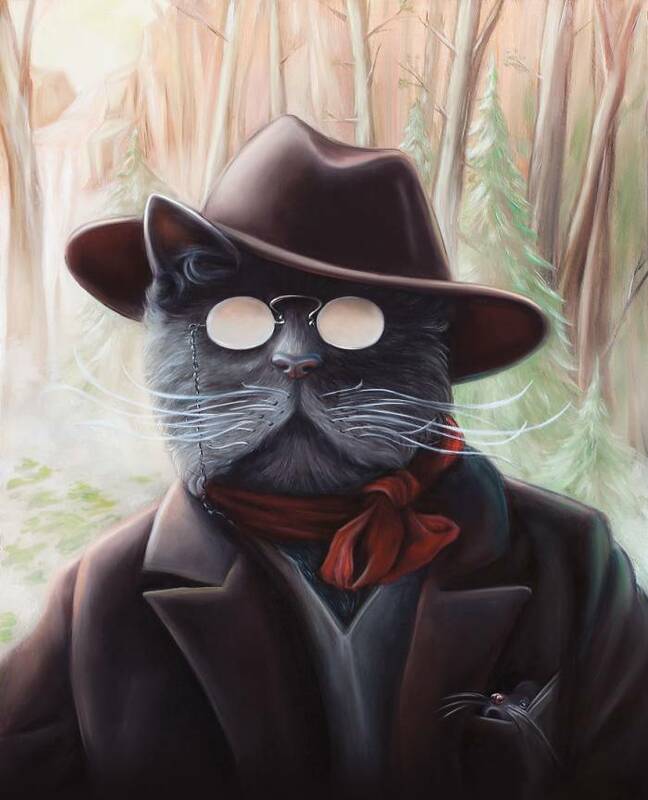 This is cat-tastic and Teddy Roosevelt already was pretty cool. 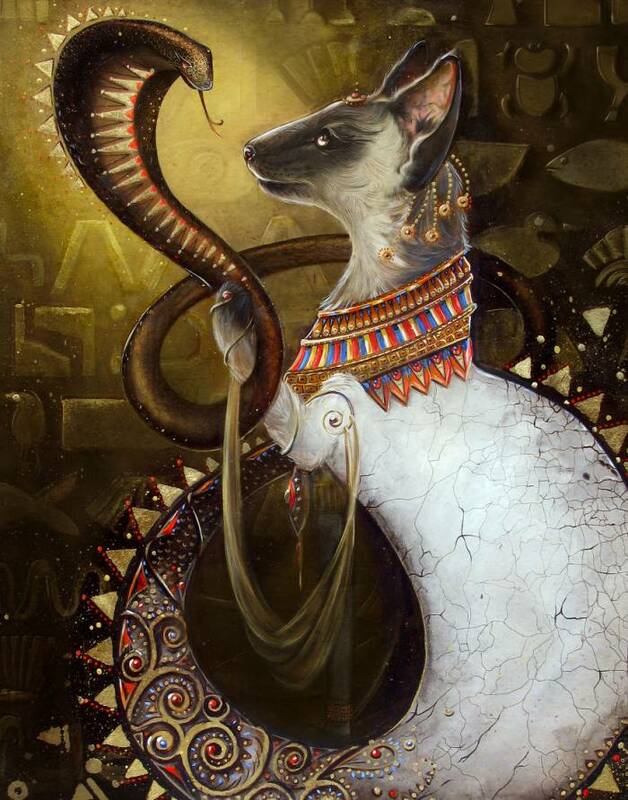 Christina explains, "This is a feline spin on the double agent Mata Hari." We couldn't love this artwork more if we tried. Can we all just appreciate how incredibly gorgeous this is? 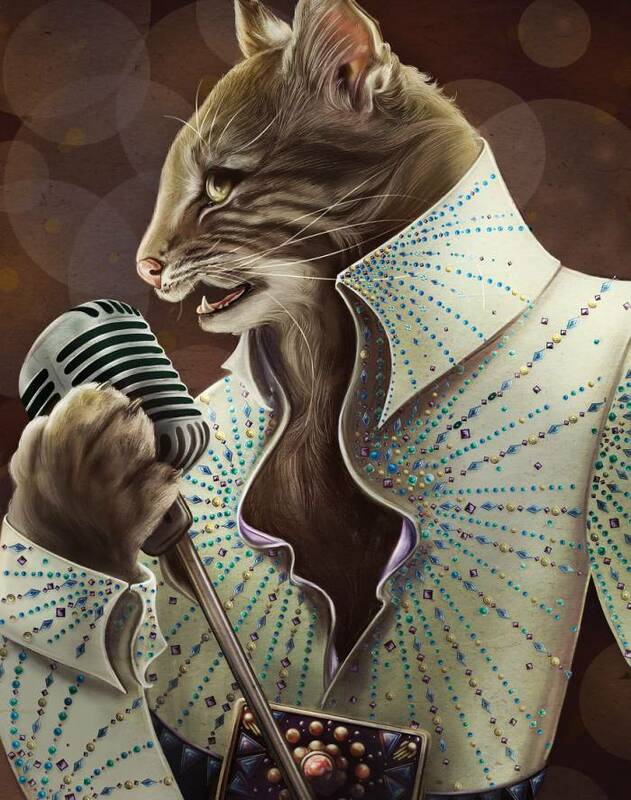 The rock and roll icon as a cat is too purrfect for words. 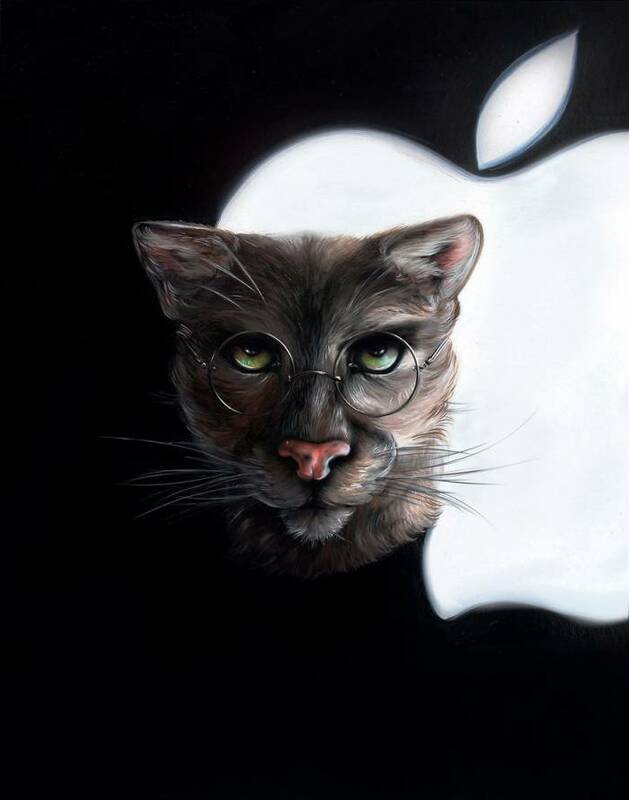 Some serious purr-itude from this apple fanatic cat.